The Port Macquarie Skin Cancer Clinic has operated since 1996 and places a high priority on a prompt and comprehensive service. The principal, Dr Robert Clarke, has a Bachelor of Surgery (University of Sydney) and a Masters in Skin Cancer (University of Queensland). In our clinic, a small suspect lesion can be removed at the time of identification and larger lesions can be removed within three weeks. Commonwealth Card holders pay an annual fee of $30 and private patients a $30.00 gap fee is charged. Children under the age of 16 years are bulk billed. Two out of every three Australians develop skin cancer during their lifetime. Skin cancer includes basal cell which grows locally, squamous cell which can spread and melanoma which eventually always spreads. Melanoma is the most common cancer in men aged between 15 and 50 and women aged between 15 and 34. Melanoma is the second biggest killer of young adults after motor vehicle accidents. 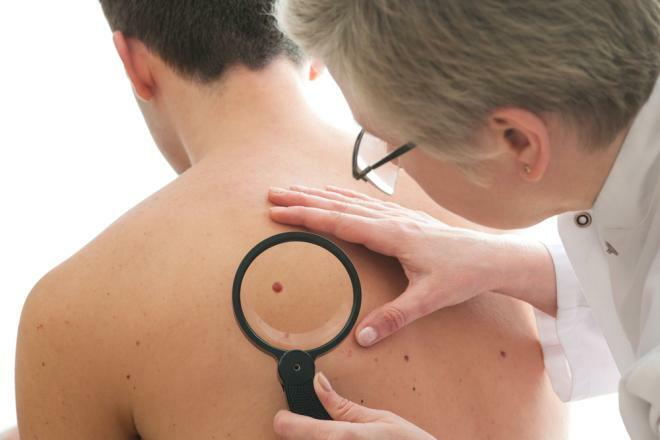 The lifetime risk of getting melanoma in Australia is now 1 in 30. In Australia, on average, 30 people are diagnosed with melanoma and three die of it each day. Early melanoma is totally curable. Advanced melanoma is almost always fatal. 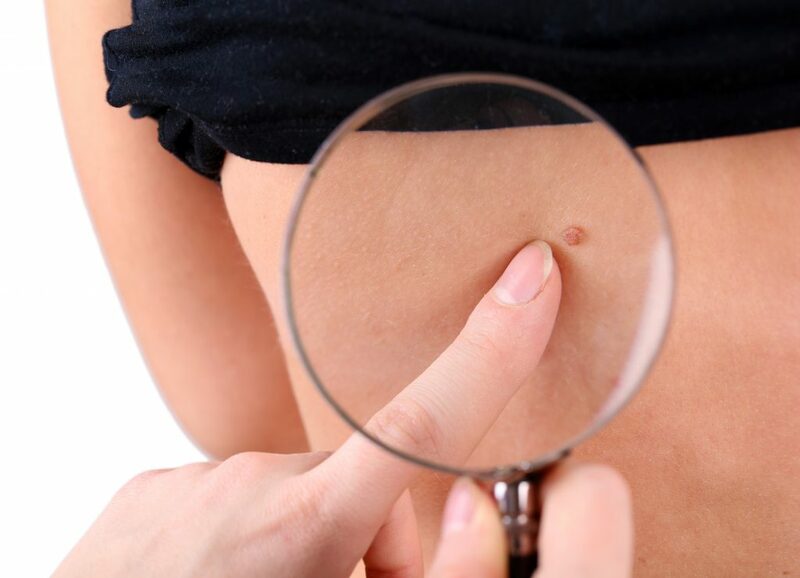 Skin cancer shows up in a variety of ways. Almost always there is a progressive change in size, shape or colour that occurs over a period of months. Are a slowly changing minor abnormality. Are treated mainly because they are a nuisance, an irritation or have an unpleasant appearance. Only a small number progress to become skin cancers (squamous). These become larger and thicker, often become irritable and are resistant to freezing. A sun spot that returns or persists after adequate freezing should be reviewed. The treatment for a solid skin cancer is excision (cutting out). The pathologist can then report on the exact nature and margin clearance. If a solid skin cancer is superficial, other treatments such as curette (scraping) and cautery (searing), double freezing or Aldara cream may be used. There are many treatments for solar keratoses, all with their own disadvantages. Liquid nitrogen freezing is the most common, but it is not for everyone or every spot. For large areas, Efudix or Solareze are useful. Cryotherapy (freezing) kills the top abnormal layer of cells and the skin responds as to a burn – with pain, redness and sometimes blistering. If a blister does form, prick it with a clean needle and drain. For care of blisters or weeping areas: shower or bathe as usual; then dab dry and apply an antiseptic cream/ointment and cover if possible. Repeat this until a firm scab is formed. All excisions produce a scar. We use several techniques to minimise scar formation and the scar will generally fade and flatten over six months, but will never disappear completely. The local anaesthetic used stings for 30 seconds and can be painful in sensitive areas such as the nose, ears and lips (although we do add bicarbonate to reduce the pain). Let the doctor know if you have an artificial heart valve or are on Warfarin. Ordinary excision – avoid any activity in the first day which puts tension on the wound as this can cause bleeding. Leave the dressing on for three days then soak it off during a shower or bath. Leave open (you may cover if you want to prevent clothing rubbing on stitches). Excision with graft – Leave dressing on the excision site. If the dressing becomes loose, apply more tape. After the stitches are removed a supportive dressing will be applied. Leave this on for 4 days, soak it off during a shower or bath. The graft donor site is treated as for an ordinary excision. The bottom thick layer (dermis) is only 25% healed when the stitches come out. The dressing supports the skin join and protects against bumps and stretching. Approximately 1% of excisions bleed excessively (enough to soak the dressing). If this occurs, apply a cold pack for 30 minutes and change the dressing. Infection can occur – the site becomes red and tender, usually 3-5 days after the excision. Infections occur mainly after an ulcerated or scabby cancer is removed (as it is impossible to sterilise the skin). Excising lesions in different sites is also a risk factor . If excessive bleeding or infection occurs, come back for review and management.